Dr. Pyatt often speaks to adult and children's groups about science. He talks about science as doing i.e. discovering or inventing things. He began his discussion with an article entitled Robot Vacuum Cleaner, Personality and Behavior which appeared in the International Journal of Society and Behavior in 201I. The thrust of the discussion of this and subsequent articles is a common sense approach to evaluating the validity of the methodology and conclusions reached in scientific articles . The iRobot Roomba was discussed regarding its gender and personality characteristics as silly, crazy, intelligent, and stubborn. Six people were interviewed, two women and four men. They all had some knowledge of technology and were of Dutch origin. The conclusions were that the people interviewed wanted a friendly machine that quietly went about doing its job. Some of the preferred characteristics were contradictory. In his evaluation of the study it was obvious that the sample size was too small, gender biased, and all were Dutch. A study evaluating the human characteristics of the iRobot Roomba was probably absurd anyway. He also discussed a 2010 article in the British Medical Journal testing the validity of the Danish urban myth that alcohol can be absorbed through the feet. The legend is that enough alcohol can be absorbed through the feet to produce drunkenness. Three healthy adults participated in the study. The experiment included submerging the feet in 2100 ml of vodka. Symptoms of possible drunkenness were then evaluated such as self-confidence, loquaciousness, and spontaneous hugs. The conclusions were that the premise is a myth but that the absorption of alcohol may be facilitated if there were skin lesions or even the by the nature of the drinks such as absinth. There were so many possible variables in the methodology and conclusions that a valid conclusion was not possible under the circumstances of the experiment. He then went on to discuss individual choice in which of one of four stalls in a lavatory is preferred. The audience was then encouraged to take a written survey of their preferences for one of the four stalls. There are many variables in this study as well which could affect the conclusion such as one of the stalls being delegated for handicapped individuals. Audience results were then compared to those of previous surveys. Finally he referred to a study asking whether animals can detect earthquakes before they happen. The study he chose used 8 cows as the animal subjects and concluded was that little or nothing points to any evidence of awareness of earthquakes by the cows. This study as well was completely flawed with the omission of many key bits of information including magnitude of earthquake, control animals, GPS sensitivity, etc. Suzanne has been with Indiana Landmarks for 28 years and has been key in the restoration of 15 buildings including the Morris Butler Museum. The 1933-34 World's Fair in Chicago (Meigs Field) was a celebration of "A Century of Progress" on the 100th anniversary of the founding of Chicago. 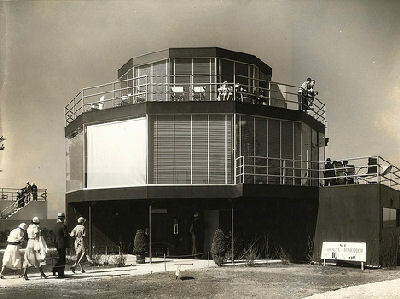 Futuristic homes were built as part of the exposition by Frederick Bartlett, a prominent Chicago developer. After the Fair, his brother, Robert, bought and moved five homes to Beverly Shores on Lake Michigan in Porter County with the idea of developing a resort community. Four were moved by barge and one by truck. Bartlett brought immigrants from the south side of Chicago by rail and would wine and dine them to promote sales. They built a hotel, golf course, and restaurant, but only The House of Tomorrow sold. Some cottages were built, but in the end, the dream did not succeed. The Florida Tropical House was modeled on Boca Raton, Fl, being the ultimate Mediterranean resort. It had a curving stainless steel staircase, a roof top deck, and a pink exterior. 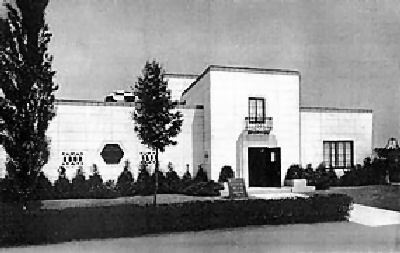 The Armco Ferro house was a precursor of the Lustron homes sold in the 50's. The idea was a low cost, high volume, reproducible design (like the Model T Ford) with low maintenance. It was a steel frame fitted with enameled porcelain panels. It also offered a steel staircase and an enclosed garage. The House of Tomorrow was constructed like a 3 layer cake, each layer being a dodecagon (12 sided) supported from a central steel column. It had floor to ceiling glass, the first installed dishwasher, and a Monel (zinc and copper alloy) countertop. It also had a garage and even an airplane (future looking) hanger on the ground level. It did have a primitive air-conditioning system, but it was inadequate for the summer heat/crowds. The Cypress House was actually occupied during the Fair. Its cypress wood cladding promoted durability. The house had a rustic, log cabin feel. 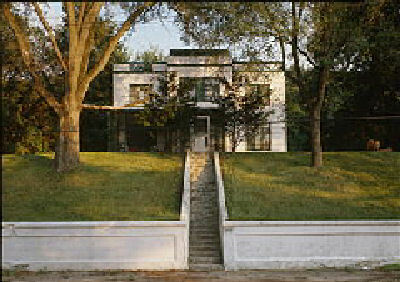 The Rostone House was an experimental house designed in Lafayette, IN. It was a steel structure with stucco/concrete panels called "Permastone" that were slid into the exterior walls. After the resort idea failed, Beverly Shores fell into disrepair. In the 50's, Dorothy Buell of "Save the Dunes" led an effort to purchase the property. The "Kennedy compromise " led to industrial development of Burns Harbor, but preserved the natural environment east toward Beverly Shores. Then in 1966 Sen. Paul Douglas of Illinois spearheaded legislation creating the Indiana Dunes National Lakeshore (ref Wikipedia). Indiana Landmarks became involved and created a program with the National Parks Service to lease the historic homes for 30 years for free in exchange for the leasees paying for full renovation costs. This was successful even though some of the disrepair necessitated more reconstruction than rehabilitation. Effectively, the leasees undertook the work as a labor of love vs an investment. None of the leasees used the homes as primary residences, but only as vacation homes or philanthropic projects. The first home renovated was the Cypress Log House. The grounds were severely overgrown. A new permanent foundation was built and a basement added while they were rebuilding. As expected, the cypress itself was in fine shape. 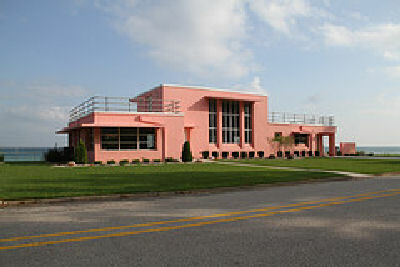 The Florida Tropical House was located directly on Lake Michigan and took significant weathering. The walls were made of stucco and not concrete and did not weather well, being "held up by habit" so to speak. Structural steel and new windows were added. The house has now been restored and displays its original pink exterior. The Rostone House required total reconstruction as water deteriorated the "Permastone". A shell was built enclosing the original house so that total reconstruction could be done protected from the elements. 53 tons of materials were removed from the original + patched concrete roof. The exterior walls had not been anchored, so they literally fell apart requiring total reconstruction. Currently the exterior is 75% done and the interior 65% done. The Armco Ferre House suffered extensive rust damage. The house was deconstructed (cataloged parts) and then reassembled. The solarium on the top floor has also been restored. The House of Tomorrow remains in poor shape. Considering that power at K of C was out during the whole presentation, Ms. Stanis did a remarkable job with no (visible) notes. Click HERE to view the slides which accompanied this talk. Click HERE to view many more pictures of the Worlds Fair buildings with their floor plans and during their reconstruction. 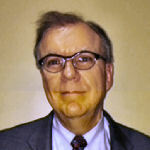 Today’s speaker is currently an Associate Professor of Finance for the University of Indianapolis MBA program. He has a DBA in Finance with 15 years of private sector experience in company valuation, acquisitions, portfolio management, risk management, insurance, corporate finance and financial systems implementation. 1. Location - We are within a day’s drive of much of the population of the United States and a great deal of Canada. Our rankings in the country are: #1 in interstate commerce, #8 in airport tonnage, #4 in freight rail tonnage, #15 in freight moving over waterways, #2 location for Fed Ex, #3 for U.S. exports, #2 for medical device production, #1 in steel production, and #3 in auto and auto parts manufacturing. 3. We have a pro new business environment, encouraging startups. We have made ourselves very attractive to foreign investors. 4. As far as quality of life issues, we have Midwest culture, sports teams, the convention center, a good and competitive school system and low cost of living particularly related to housing. 5. Relatively low wages more than offset, however, by our low housing costs. We thank Dr. Will for a very interesting presentation. 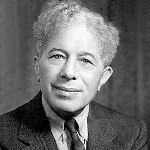 What better place to start than Sid Grauman, born in 1897 in Indianapolis. He started the longstanding tradition of having famous actors and actresses place imprints of their hands in fresh cement in front of the Grauman Chinese Theater in Los Angeles. Anne Baxter, born in Michigan City, IN in 1923, received the Best Supporting Actress award in 1946 for Razor’s Edge. Karl Malden, who grew up working in the steel mills of Gary Indiana, received an Oscar for his role as Mitch in Streetcar Named Desire in 1951. Sydney Pollack, who was born in Lafayette, IN and grew up in South Bend, IN, received Oscars and/or nominations for directing films of note, including They Shoot Horses, Don’t They?, Tootsie, and Out of Africa. George Seaton, born in South Bend, IN in 1911, wrote and directed “Miracle on 34th Street.” He also supplied the first voice of the Lone Ranger for WXYZ radio in Detroit. Robert Wise, born in Winchester, IN in 1914, won Best Director and Best Picture awards for West Side Story and Sound of Music. He was also nominated for Best Film Editing for Citizen Kane and Best Picture for Sand Pebbles. Mary Tomlinson, born just south of Acton, IN in 1890, went into stage acting against her mother’s wishes. She changed her name to Margery Main, and became famous as Ma Kettle in a series of films credited with saving Universal Films from financial distress. Monte Blue, born in Indianapolis in 1887, grew up as an orphan in the Knightstown (IN) Soldiers and Sailors Home and graduated from Purdue University. He became an international star in the silent film industry, starring for example in Sinclair Lewis’ Main Street and in White Shadows in the South Seas. A number of Indiana natives played cowboy roles in Hollywood, including Buck Jones, Ken Maynard and his brother Kermit, and Alan Rocky Lane. The latter Hoosier lost his fortune and became a stable hand, where he was re-discovered as the voice of Mr. Ed the talking horse. Webb Parmalee Hollenbeck, aka Clifton Webb, son of Mabelle, was born in Indianapolis in 1889 and received Oscar nominations for Razor’s Edge, and Sitting Pretty. Indiana was home to several Tarzan actors, including the first one, Elmo Lincoln. Others included James Pierce and Denny Miller. Jane Alice Peters, aka Carole Lombard, was born in 1908 in Ft. Wayne, IN and had her first role as a 12 year old alongside none other than Monte Blue in Perfect Crime. She starred in several films with her two husbands, William Powell and Clark Gable. She starred with Jack Benny in her last film, To Be or Not to Be. Her life was ended tragically by a plane crash in Nevada on a flight home from a WWII Bond Tour. Steve McQueen was born in Beech Grove, IN in 1930. McQueen received an Academy Award for his role in Sand Pebbles, and he was popular for roles in a number of action-packed thrillers. Red Skelton was born in Vincennes, IN in 1913, and was best known for being a national radio and television comedian. James Dean, 1930-1955, hailed from Marion, IN. 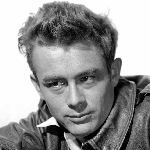 Best known for his role as disillusioned teenager in Rebel Without a Cause, Dean also received posthumous nominations for acting in East of Eden and Giant. 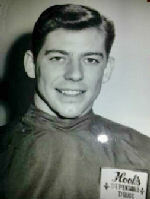 Dean’s career was ended tragically in 1955 by an auto accident. 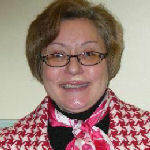 Christina Ferroli earned her PhD in Nutrition Sciences and has been the Nutrition Education Programs Director for the Purdue Extension - Marion County for 17 years. She is a Registered Dietitian and certified food safety trainer, as well as an advocate for preventative health care and for raising public awareness of nutrition, health, physical activity, and weight management. Overview: Dr Ferroli’s presentation covered the history, development, and health benefits of chocolate. History: The Olmecs (southern Mexico, 1500 – 100 BC) were the first to process and eat cacao beans which they called Kawkaw. The elite of the Mayan culture (same area and time frame) cultivated the cacao tree and used the beans for medicinal purposes and in important ceremonies (royalty and religious). They also used it for “high energy” balls for cooking. The Aztecs (1400-1600 AD) lived in the highlands where the cacao tree would not thrive so they traded for cacao and used it in ritual offerings to the gods. Columbus first introduced it to Spain (1492) and Cortez reintroduced it in 1529. It became the secret drink of the aristocratic. Monks were trusted with the knowledge, but this “leaked” to France and Italy. It was also used medicinally. Napoleon used it for “quick energy”. Conrad van Houten (Dutch) made the first (solid vs. powder) chocolate candy in 1828. Rudolph Lindt (Swiss) invented the conch in 1879 to grind and homogenize the powder to enable candy making. Daniel Peter and Henri Nestle (Swiss) introduced milk chocolate in 1875. In the late 1800’s the Cadbury brothers manufactured hot chocolate based on a medicinal formula used in apothecaries from the late 1600’s. In the American colonies, after the Townsend Act of 1767 (taxing the Colonies) it became “patriotic” to use chocolate (from the West Indies vs tea from the British Empire). The Hershey Chocolate Co introduced low cost chocolate at the 1893 World’s Fair and volume exploded. They produced 50,000 pounds per day in the 1920’s. Current Situation: Today global production is climbing 2%/yr and has grown 3%/yr over the last century. 3.8 million tons are produced annually worth $11.8 billion. 40-50M people depend on cocoa production (subsistence farming). The largest producer is the Ivory Coast in Africa. The cocoa tree is a fragile tree that requires protection by larger trees in a tropical environment. Production is limited to +/- 20 deg latitude. The ECHOS (Empowering Cocoa Households with Opportunities and Educational Solutions) is an effort to help lift cocoa farmers above subsistence. Valentine’s Day began in the 17th century. Cadbury introduced the 1st box of chocolates in 1868 and now 36 million are sold annually. The Swiss consume 22 lbs/yr per person, closely followed by the Austrians and the Irish.. Americans restrain themselves to 12 lbs/yr. Chocolate Production: The Theobroma (“food of the gods”) cacao L tree is a delicate plant needing the shelter of tropical forests to thrive. It does well only in +/-20 deg latitudes and then in low lying tropical environments. Three varieties exist of which the Criollo (“prince” for its fine flavors) is cultivated in Central and South America. The Forastero variety, known for its robust flavor, is from Brazil and especially Africa with the Ivory Coast supplying 70% of the worldwide volume. 400-500 seeds are needed to make a pound of chocolate. The pods/seeds are harvested twice a year. Seeds are sun dried until they have 7.5% moisture content. Then fermentation generates flavor precursors, followed by roasting (aroma) and winnowing (removes inediblies) and finally grinding and conching creating a smooth textured formable solid suitable for candy. -Dutch process cocoa which has little nutritional value. Nutritional Value: The cocao seeds are 53% cocoa butter (fat), 30% carbs, and 13% protein, but the key value is in the 2.6% polyphenols and flavonoids. From a mineral value, dark chocolate does well as it has high magnesium and potassium to counteract the high sodium in Western diets. It has bioactive phytosterols and resveratrol (as in red wine) as well as polyphenols / favonoids antioxidants. Research shows the level of antioxidants is high vs. other food choices. The USDA has created an ORAC (= Oxygen Radical Absorbance Capacity) measure of a substance’s ability to neutralize free radicals. The USDA daily goal is 3,000-5,000 ORAC. Here dark chocolate shines with a ORAC rating of 13000 with milk chocolate and prunes in a distance second at 6,000. Chocolate, in moderation, has generally positive health benefits from slightly reduced serum cholesterol to general health of the cardiovascular system. Although sports drinks are hyped, the best exercise recovery drink is chocolate milk; better than Gatorade. Prof. Sweeten received the Indiana Professor of the Year Award a few years ago from a list of 300 candidates. After listening to this lecture that is certainly no surprise. He received his undergraduate degrees from Manchester and Ball State Universities. He got his PhD degree from Purdue University in Aquatic Biology. He starts this undergraduate program with the introduction to biology for a class of 10 students. The students are carried for four years making a total of 40 in the program at any one time. 90% of these students will later attend graduate schools in some scientific endeavor having graduated Manchester, usually with a double major. The three basic tracks of the program are natural history, technical issues, and policy. The latter usually refers to political science which is necessary to accomplish the program's goals. The program is not designed necessarily for the straight “A” student, hoping to give anyone a chance who has an intense interest in science and a constant curiosity. A primary goal is experiential learning. Field trips are made to biologically rich areas including Alaska, the Florida Keys and the large barrier reef off of the Andros Island in the Bahamas. They have banded salmon in Alaska and studied manatees in Florida. Jerry helps arrange internships for environmental studies in many geographic areas including the Shasta area of northern California and at the Shedd Aquarium in Chicago. Currently they are carrying out funded research on several topics. They have been studying the Eel River located around Manchester University as part of the Mississippi watershed. This is to add further information about the 6000 square mile hypoxic zone in the Gulf of Mexico. They study the nitrogen, phosphorus and sediment in water samples which are believed to contribute to this hypoxic zone. They received a $735,000 grant to get farmers to participate and respond to the study. It is Prof. Sweeten's belief that students should get paid for their work whenever possible. They participate in stream ecology studies as in determining the size and growth rate of smallmouth bass which are an important sport fish in Indiana. They have performed dam removal for the Fish and Wildlife Service to increase the number of game fish and rid the river of unwanted carp. They have also made great efforts to clean the Eel River of trash, old tires and other heavy refuse. Following most of these activities the students have participated in research symposia for which they present scientific papers right along with graduate students and others. These papers have been presented at learned societies including the Indiana Academy of Science and the Indiana Wildlife Foundation. Mr. Leo Doyle, leader of the Indianapolis Cyber Defense Force, was the speaker for February, 24, 2014. He brought his team of five members to the meeting and discussed Cyber Threats, Cyber Attacks and suggested numerous ways of making personal efforts in preventing cyber-crimes. Almost every digital electronic device, personal computers, cell phones, USB drives, and even bill boards have small computers within them and are vulnerable to cyber-attacks. The attacks are both man-made, and could be either purposeful or accidental and due to natural causes. Some attacks are unstructured, perpetuated by individuals and have high noise levels. Some structured attacks like those by organized crimes are quieter and highly structured attacks from governments are usually stealthy. Computer viruses are 70%-80% detectable while 20%-30% are not detectable. It is the non-detectable viruses than can do the most harm. Examples from individual attacks were given like one that sabotaged data and backup by a disgruntled employee of a power plant. Another employee tricked the computer and dumped sewerage in a river. One fellow changed the traffic computer and made it turn on off repeated disrupting traffic. One hacker in Poland caused a train derailment. Firewalls may not be as good as described. Accidents also happened during training to protect facilities when computers destroyed electric generators during testing. Potential vulnerable cases are Pacemakers which may let hackers change or increase heart rate; infusion pumps could be hacked to increase medicine delivery. A Spanish plane crash was attributed to a computer hacker in 2008. Government hacking occurs in places such as China where organized, government-sponsored hackers were able to steal information on US weapon systems and plans for combat airplanes have been detected. Innocent pictures of an aircraft revetment in Afghanistan was the source of GPS coordinates for an ultra-secret airbase that led to an Al Qaeda attack and the destruction of four helicopters. In Brazil, electrical power was turn on-off multiple times and the culprit has not been found. A virus was even found in the International Space Station by NASA The recent Target Stores that were attacked with the loss of data of over 70 million customers is one closest to home. Profits from illegal hacking have found its way into organized crime, 80%, terrorist groups, 17% and Al-Qaeda, 3%. The Cyber Defense Force is organized to educate, train and protect the city, its factories, and government institutions. It is under the umbrella of Homeland Security. As individuals, we should keep our anti-virus system and operating system up to date. We should not open attachments from unknown senders. We should know our source of software. We should not give out personal information and should back up our files. Next generation genome sequencing allows us to read the entire content of your DNA for $1000. This information holds the keys to potential life-threatening medical conditions, as well as simply to your personal traits (psychological character, mental abilities, national origin(s), etc.). The question is: do you want to gain this information about yourself, your relatives, your future (or current) husband/wife? Do you think the insurance companies, your roommate or NSA will want this information? And if they do get it, what do you think they will do with it? These are the questions that Dr. Erkine asked the audience. He feels that the revolution of individual genomes sequencing is now and will be the biggest revolution to hit our world since the computer. The DNA double helix was discovered in 1953; the genetic code was cracked from 1961-1965; the Sanger sequencing was developed in 1977, opening the door for the human genome project in 1990 at a cost of $3 billion. Industrial NGS instruments were developed in 2005. The cost for a complete sequence was $70,000 in 2011 and is less than $1000 in 2014. What can the human genome do? It is a blueprint for who you are. The genome provides information about your immune system, your diseases, hormonal balance, height, propensity for obesity, lifespan, your psychological character, your national roots and even possibly your profession. Dr. Erkine mentioned that many people do not believe that these predictions can be obtained. He recommended that the audience do research on the many studies done on identical twins that were separated from birth. All of these characteristics, and many others, were identical. Now, for $1000 you can learn more about yourself or someone else. This knowledge is extremely valuable, but our system has yet to address for whom and how this information is obtained. Hopefully in the near future you will be asked if your genome can be sequenced when you have any medical test, yet your information can be easily obtained by anyone. Do you want to have your genome sequence in your pocket? Advantages include cancer treatment and numerous familial diseases easily preventable by individualized medicine, lifestyle changes, etc. Also your genome will help science in the development of its potential applications. Yet the burden of knowing can be high. What if the predicated disease is incurable? What will happen with your daughter’s or son’s engagement if the fiancé has a high probability of contracting a bad disease? How will it affect the decision to have a child? A screening for behavior genes, like cheating: Do you really want to know it? Dr. Erkine then reviewed the new “Shotgun genome sequencing” using fragmented genome chunks. What was the bottom line of his talk? A few years ago you could say, “Who cares about the DNA sequencing some geeks do in the lab?” Today you get a complete sequence of your personal genome for $5000-$10,000. Tomorrow the price tag will be $1000 in the U.S. and $100 if outsourced. For better or for worse, research and technology are changing our present and future. Presented By: Rev. 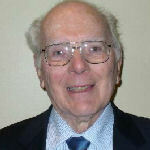 Robert A. Schilling, retired Organist/ Choirmaster, North United Methodist Church,and retired adjunct member of the music faculty at Butler University. 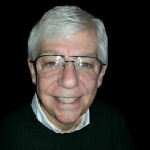 Bob Schilling was the long-time organist, choirmaster, and associate pastor at North United Methodist Church. 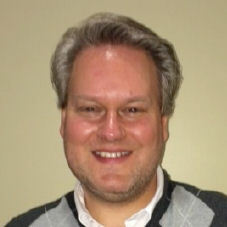 For the last nine years he has served as Director of the Shepherd's Singers who performed a Holiday Concert for the Scientech Club last December. 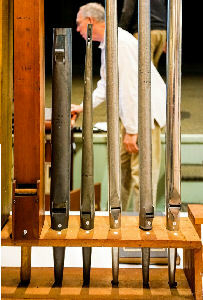 The pipe organ is considered the most complex of human inventions prior to the Industrial Revolution. Rev. Schilling's description of how a pipe organ works probably convinced most of the Scientechers, even the engineers, that it should still hold that title. It makes Rube Goldberg's inventions look simplistic. The acoustics and aesthetics, i.e., the quality of the sound of the pipe organ, are controlled by various factors. Of great importance is the type of pipe. There are two basic types, reed and flue. 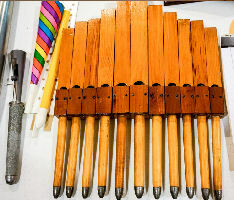 Reeds produce vibrating sounds with brass tongues. Flues produce whistling sounds by columns of air. About four fifths of the pipes are flue and one fifth reed. High notes are produced by shorter pipe media, and low notes are produced by longer pipe media. Pipe organs may have 4,000 or more pipes. Each one produces its own unique sound or note. Tone is mostly determined by the length and circumference of the pipe. The pipes are arranged so as not to block the sound of each other. They may be arranged to enhance the appearance of the auditorium. The pipes are always vertical, except when a trumpet fanfare is needed; then they are horizontal. So, the factors that affect pitch and timbre are size, nicking or chips within the pipe, and the type of metal. The metal is an alloy of tin and lead. The percentage ratio of tin to lead does affect the sound. The wind supply is provided by bellows. In the 16th Century the bellows were pumped by men stepping and jumping on the bellows with their feet. 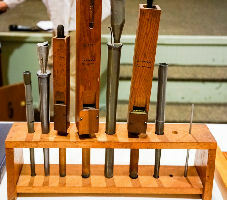 Later the bellows were worked by hand crank. Modern pipe organs use electric blowers or fans. Electronics may be used to connect stops and other mechanisms of operation. However, the sound is not produced electronically. Pipe organs are not limited to churches. Theater pipe organs are used in various entertainment venues. Manual High School has the largest pipe organ in Indiana. The speaker today is a graduate of Butler University in pharmacy and pediatric dentistry. 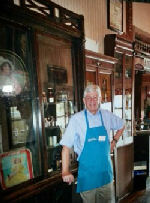 His has a strong interest in history and, with his past work history at the Hook’s Drug Store chain, gave us a review of Hook’s Drugs. In October 1900 pharmacist John A. Hook opened the first Hook's Drug Store. The son of German immigrants, he opened his first “Deutsche Apotheke” (German Apothecary) in a 1,000- square-foot building on the near southeast side of Indianapolis at 1101 S. East St. in the neighborhood of Fountain Square. The original Hook’s store building is no longer standing, but ironically was just a block south of where the global pharmaceutical company, Eli Lilly and Company, established their corporate headquarters in the 1880s and continues to operate today. In 1908 Hook opened a second downtown store at the corner of New Jersey and East Washington Street in Indianapolis. By 1912 the chain had expanded to twelve stores. Many of Hook's drug stores were designed by Kurt Vonnegut Sr. of Vonnegut and Bohn. 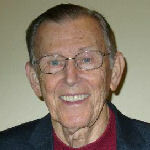 Hook died at age 60 and Ed Roesch became president. In 1956 following Roesch's death in a traffic accident, John Hook's son, August F. “Bud” Hook, assumed leadership of the company’s 56 stores in Indiana. The chain added 150 new stores between 1946 and 1972. One of the first stores was opened in Kentucky, which were later sold to Walgreen’s. Evansville was the only major city in Indiana where there were no Hook’s Drug Stores. 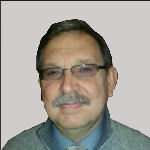 The first stores were designed on a service-based plan, not a self-serve plan, as seen in pictures that Chuck provided. The first offices of Hook’s Drugs were located on California Street in Indianapolis. They were then moved to their present location on the east side in 1962-1963. In 1978 Bud Hook became chairman emeritus. In 1985 Kroger purchased Hook’s; in 1986 Centrex purchased the chain and finally sold it to CVS in 1998. In 1966 The Company opened the Hook’s Historical Drug Store and Pharmacy Museum at the Indiana State Fairgrounds as its corporate contribution to the Governor’s request for Indiana-based companies to fund special initiatives celebrating Hoosier history and commemorating the state’s sesquicentennial. Hook’s Drugstore Museum is still in operation on the fair grounds. Information obtained from http://hooksmuseum.org and other internet sources. 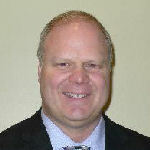 Killion (his real given name is Rocky) is the Superintendent of an "A" school in West Lafayette, IN. His school has been tops in the ISTEP tests and is regularly in the top 2%. Their STEM rating ranks 19th in the U.S. To be the best, you have to raise the bar, not lower it so more can meet expectations. Many school models have not been tested, including Charter Schools and School Choice. He states that the current model in Indiana will not get us where we want to be regarding education in future years. 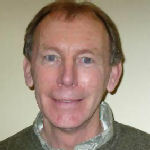 He has written books and produced monographs analyzing the education system. He has also produced a DVD entitled "Rise Above the Mark." It is narrated by Peter Coyote, the famous narrator of many documentaries, including some works of Ken Burns. The DVD was shown recently to 1,600 people at Clowes Hall. It was created by talking with six teachers about what they thought worked best in teaching. We are losing many fine teachers because of school reform. The morale among teachers is terrible. The problem is that the people with the power are not those held responsible; and the people being held responsible are not the ones with the power. In 2010, Indiana's tax system changed so that the sales tax went up by 1% and the property tax went down. The state gives funds to school choice and vouchers systems, both unproven thus far. Teachers no longer have control and they are not treated professionally. 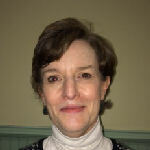 Dr. Killion believes that we should focus on early education. By so doing, we could save $67 billion in the end. Also, we should compare ourselves to the best. In 1985, Finland's education system was poor. Now they are the world's best. We should compare ourselves with them (and China and South Korea) not just with other Indiana schools. They removed political influence, gave the system back to the educators and fed the kids. Of ten items that might help education, school choice and standard testing were not among them. Neither was merit pay or a longer school calendar. What helped was: aligning curriculum among grade levels, "cold calls" from teachers checking on students, and 90--?minute reading sessions per day. Tests are fine but they are overrated. $17 billion was spent on testing last year. Tests do not improve the system. Dr. Killion fully admits that children from parents with higher income do well. But not all the best--?performing kids come from that group. He encourages us to visit www.Rise Above the Mark.com and learn what can be done with education in Indiana. Dr. Killion fully admits that children from parents with higher income do well. But not all the best-performing kids come from that group. He encourages us to visit www.Rise Above the Mark.com and learn what can be done with education in Indiana. The speaker today is a club member, board member, and past president. As a fill in speaker Jim provided the club with a talk on the history of Daniel Ragsdale Christian, his great-great grandfather. Daniel Christian was the son of Elijah & Rebecca Christian and was born in Elbert County, GA. He died in 1865 in Goldsboro, NC and is buried in the National Cemetery in Raleigh, NC, one of 3500 unknowns. As you read this review you will see how Dr. Jim Dillon finds a close tie to his great-great grandfather, researches his interest in civil war history and reveals his family genealogy. Daniel was home tutored by a Yale graduate in GA and then came to KY with his father looking for land. His father then returned to GA, but Daniel stayed, moved to Salem, in Washington County, IN and married Elisa Click. He taught school from 1838 to 1847 and then decided to move to Kokomo, but his horse broke down and he ended up in Hamilton County. He purchased a farm nearby on 106th St. and Williams Creek, only a few blocks from Jim Dillon’s present home. He taught school for 12 years on this property. In 1859 he moved to Noblesville to read law and purchased a farm 2.5 miles SE of Noblesville on Cumberland Road. In 1833 nine townships were created in Hamilton County, one being Clay Township. Jim pointed out that during this time the community, which we now know as Carmel was called Bethlehem. The name was changed from Bethlehem to Carmel when the town applied for a post office and was told that Indiana already had a "Bethlehem" and they must chose another name. So they chose Carmel which also has a biblical basis. During Daniel’s time in Clay Township he was appointed Secretary as the civil war was beginning. 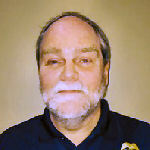 Many years later, Jim Dillon also served as secretary, member and president of Clay Township. Daniel Christian was against slavery and saw that he and his brothers could be drafted into the Union Army. More than likely because of his community connections, he was able to convince the draft board not to take his sons if he would enlist at the age of 40. The army paid him $27.00 to join. He then enlisted in 1862 in Co. A, 5th Reg’t Indiana Cavalry. The 5th Indiana Cavalry was unusual because of its original strength of 1242 men, ending up with a final strength of 1764. Very few regiments ended up with more men than they started with. Jim then reviewed the Atlanta Campaign of 1864 where Daniel was captured on July 31, 1864. He was then transferred to the prison in Andersonville with a population of 33,000 where 13,000 died. Daniel died of dysentery. When you venture into the world of family history, sometimes you find how your life has been touched by your past family and community. Jim’s talk brought this point out clearly.